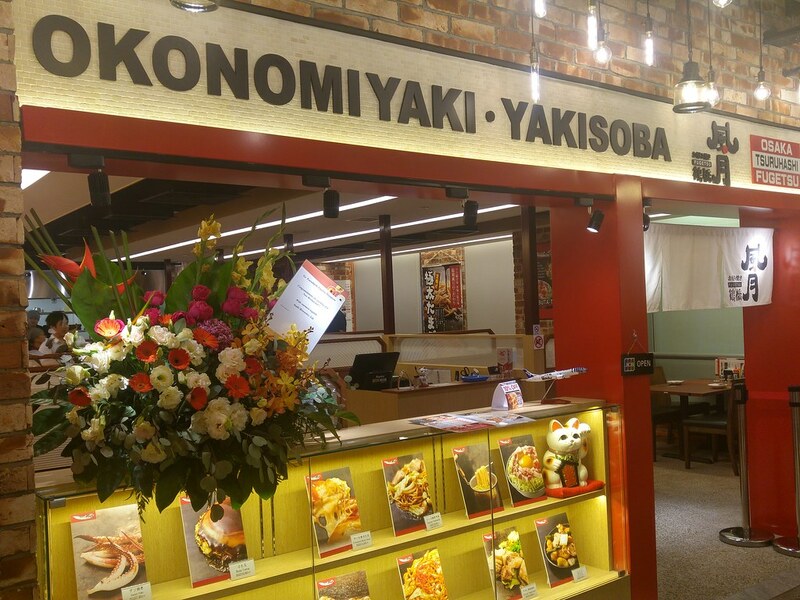 With 75 outlets in Japan, 3 in Korea, 1 in Taiwan and even in America, Tsuruhashi Fugetsu, Osaka's number one and largest Okonomiyaki restaurant has finally arrived at our shore. Eat At Seven at Suntec City Mall is where it resides. 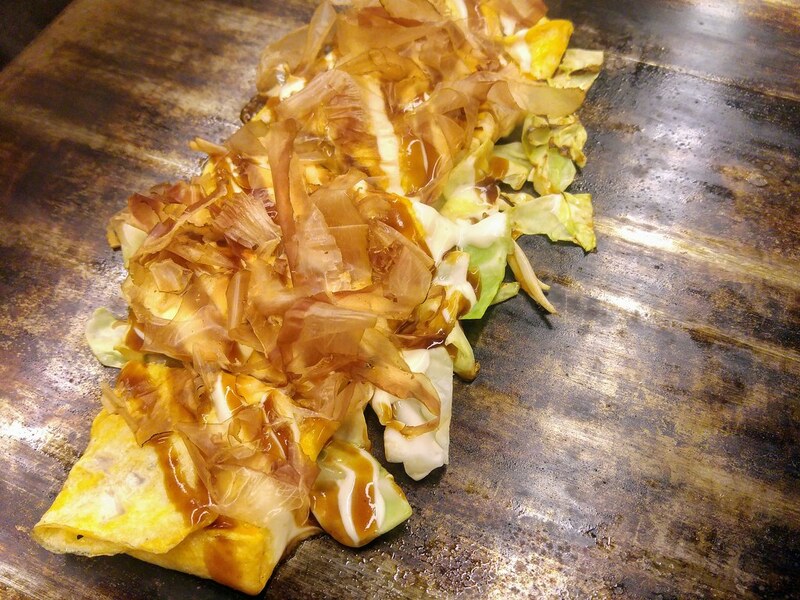 Tsuruhashi Fegetsu offers Okonomiyaki on the menu, a well loved Japanese dish originating from Osaka which is also fondly known as the "Japanese style pizza". You may have come across some stalls in our local pasar malams naming theirs the same but this is the real deal. I love vegetables which inevitably makes this one of my favourite Japanese dish. I have tried Tsuruhashi Fugetsu in Osaka hence I was really excited to see how this local joint will fare. 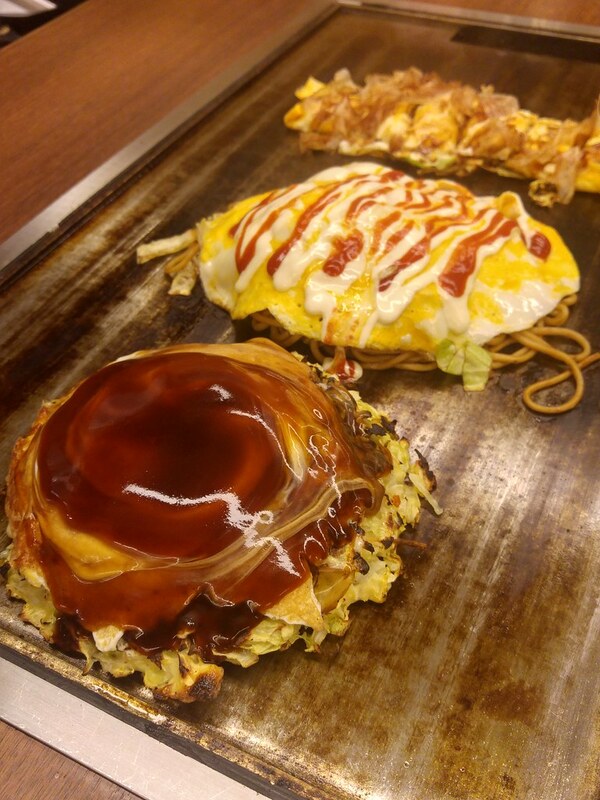 As okonomiyaki is made mainly out of cabbage, you may want to beef up your meal with Tonpei-Yaki ($9.80) and Fried Buta Kimchi ($9.80). With the mayonnaise and ketchup on the fluffy hot omelette, the Osaka style pork omelette would have been a really appetising side dish but ours disappoint with a strong porky smell. At the same time, I find the meat too tough despite all the good fats sandwiching the meat. The hot plate kimchi pork fares much better. The pork was more tender and fats more seared, and the piquant kimchi helps to cut the greasiness of the meat. 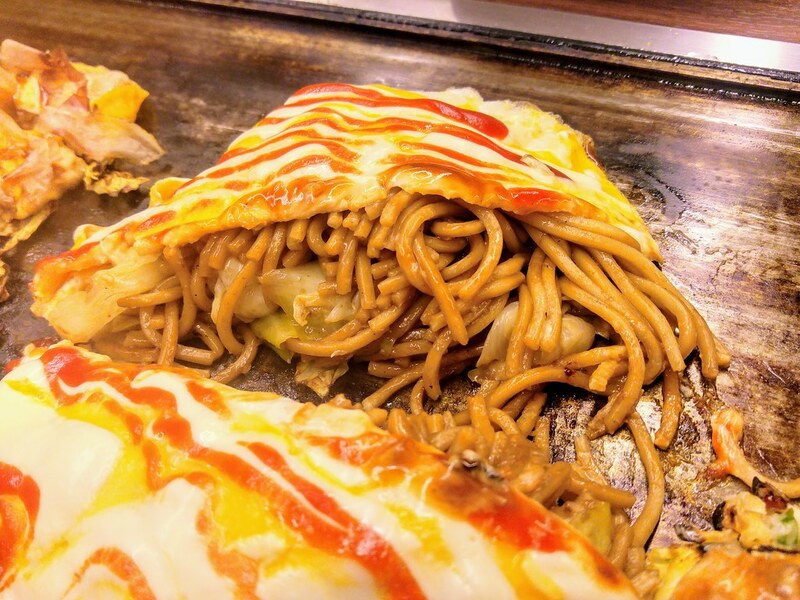 The signature pancakes, Omelet-Yakisoba ($13.80) here are made with yakisoba, the fried egg noodles. Not to be mistaken as our yellow noodles, these egg noodles are produced accordingly to the brand's traditional recipe by a local supplier. Indeed, they do not carry that distinctive alkaline taste, along with a much chewier texture. 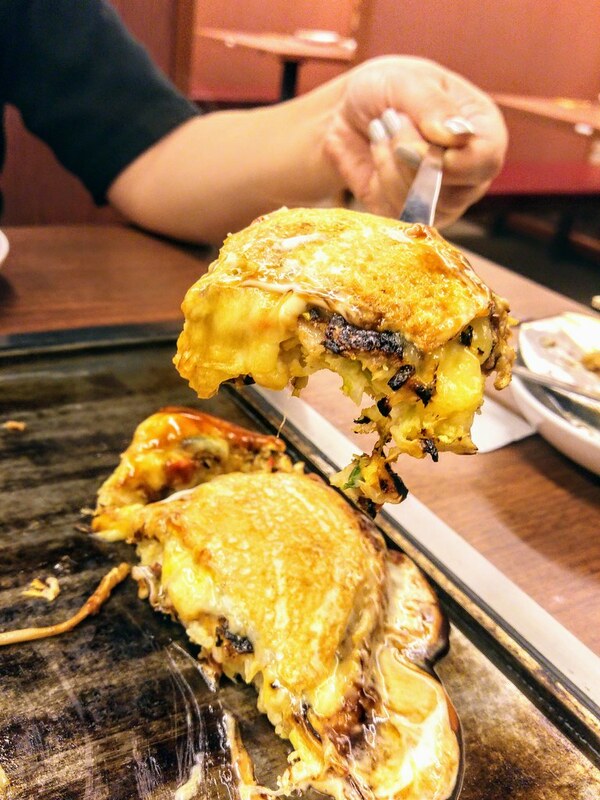 My favourite is still the Cheetama-Buta Tama ($14.80), a much more indulgent version with a layer of cheese. 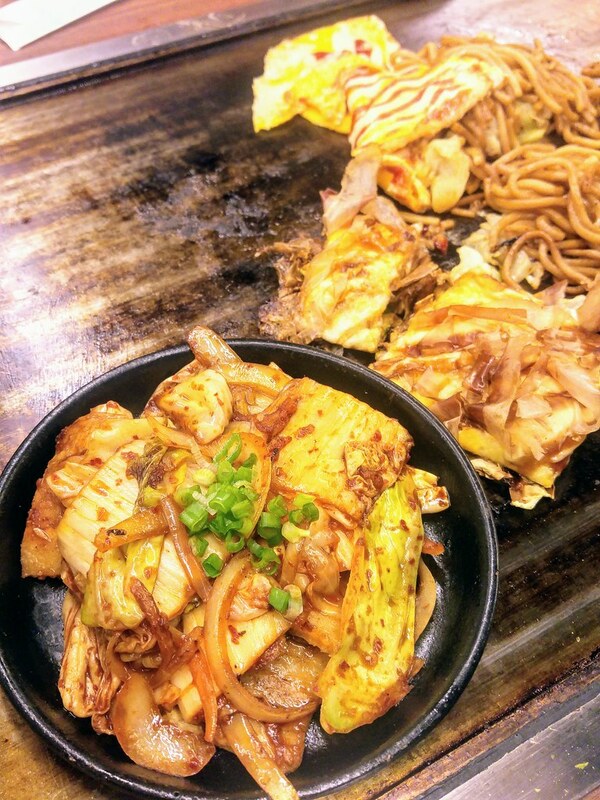 Cut cabbages and yams bind together tightly with wheat flour mixture, the grilled side of the cabbage pancake was charred with smoky sweetness, while the inside remains fluffy and crunchy. Its character as a 'pizza' shines as the gooey cheese oozed upon being sliced. The brilliant combination of Worcesterhire sauce and mayonnaise atop the pancake is the key to complete the taste. The overall experience is quite authentic and enjoyable, other than the porky meat which I feel should really be changed. 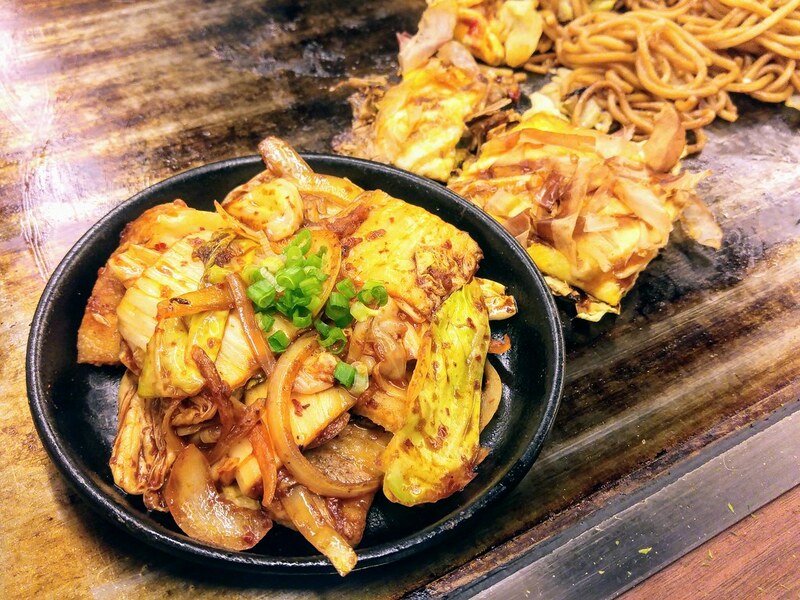 Same as back in Osaka, dishes are served on individual teppanyaki plates which keep the food hot throughout. What's different is that the DIY grilling of the pancake myself is not an option here, perhaps to keep the food consistent.